Sweden, officially the Kingdom of Sweden, is a Scandinavian country in Northern Europe. The country has the largest population among the Nordic countries and is the third-largest country in the European Union by surface area. Sweden has been ranked the world’s best country for immigrants. In spite of its position in northernmost Europe, the climate is comparatively mild. Sweden is characterized by its long coastlines, large forests, and numerous lakes. Sweden joined the EU in 1995. The country is one of the world’s most highly developed post-industrial societies. 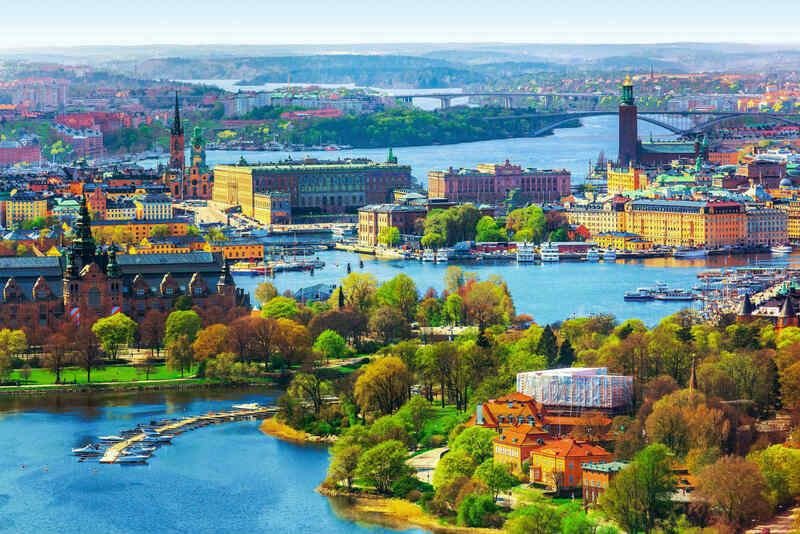 Aided by peace and neutrality for the whole of the 20th century, Sweden has achieved an enviable standard of living under a mixed system of high-tech capitalism and extensive welfare benefits. It has a modern distribution system, excellent internal and external communications, and a skilled labor force. Besides, over the years, universities in the country have been steadily building their reputation as great educational providers. Sweden is a very multicultural country. Fifteen percent of Swedes were born in another country, while about one in five children in Sweden has a family with roots in another country. Swedes are some of the world’s most generous people. Moreover, they are very athletic and hardy, very punctual, and they have everything exactly set. Sweden is a very secular country, but most of the world’s religions are represented here – and all are welcome. Sweden is a very diverse country. But, it doesn’t just allow diversity. Like everything else we have looked at, Sweden works hard to promote diversity. Swedish society is known for its inclusiveness and equality – you may have heard Sweden referred to as the most equal country in the world. It consistently places among the world’s top countries in gender equality. Unemployment is low and the economy is strong in Sweden. The country is the third largest country in the European Union but has a population of about 9.9 million. Therefore, Sweden is far less densely populated than many other European countries. Thus there are available job opportunities for immigrants. International students can work in Sweden. Unlike so many countries around the world, you are allowed to work while studying in Sweden if you have your residence permit (student visa). Though your studies are your number-one priority, there’s no legal limit to the number of hours international students can work during their studies. Even if you wish to work after you complete your higher studies, you can apply to extend your residence permit to give yourself more time to look for work. Sweden gives you at least 6 months to do this. The work permit is Schengen in nature, so you will be able to look for work anywhere within the European Union. Swedish is the official language of Sweden. The vast majority of Swedes also speak English, and generally to a very high level. Sweden regularly ranks as one of the top countries in the world for non-native speakers of English. Many Swedish multinational organizations have English as their corporate language. And a large number of university degree programs and courses are taught in English in the country. That means you don’t have to speak any Swedish to study here. As courses are taught in English, so you won’t have to worry about problems arising from a lack of knowledge of the Swedish language. Also you can talk comfortably in English with the Swedish people you meet outside the university.